I know I really like the convenience of having ready to go pasta sauce in the can or jar in the cupboard. It’s inexpensive and easy to use. 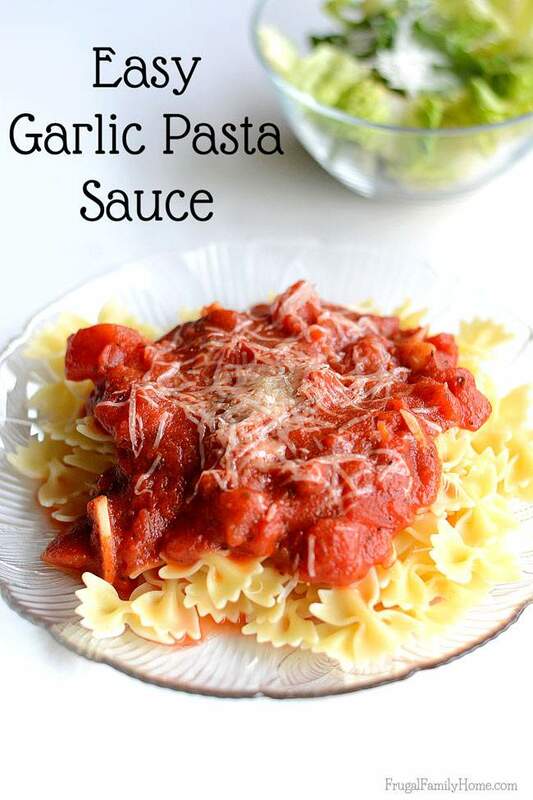 But every now and then I take the time to make my own pasta sauce using this quick and easy pasta sauce recipe. While it does require a little more work than opening a can it is so worth it. 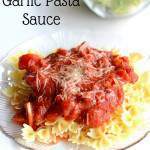 This recipe is really easy if you can slice garlic, and dump cans into a skillet you can make this sauce. 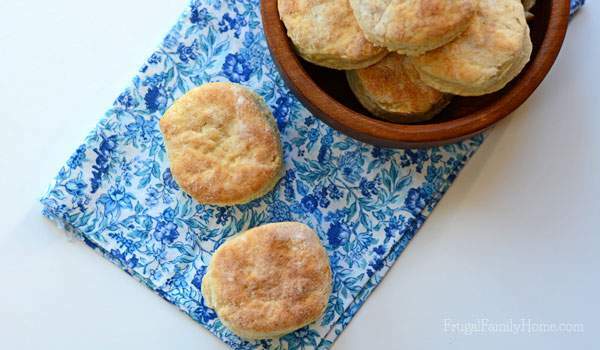 It takes about 20 minutes to make and tastes so very good. Here’s the printable recipe for you. Add the oil to the skillet and heat over medium heat. Add the sliced garlic cloves, stir and heat for a few minutes. You want them to be fragrant but not brown at all. If they brown they will be bitter. Once the garlic is fragrant, add the rest of the ingredients and stir to combine. Bring the sauce to a boil, cover, and turn down the heat to low or enough heat to maintain a simmer. Simmer for 15 minutes or longer if you have time. Be sure to keep the garlic moving in the pan in the warm oil. If you let it sit in one spot too long it will brown and become bitter. If the garlic browns it best to just throw it out and start over with fresh garlic. The whole sauce will taste awful if the garlic is burnt. You can use fresh herbs if you wish just use a bit more. I use the rule of thumb if the recipe call for 1 teaspoon of dried herb I use 1 tablespoon of fresh herbs instead. You can skip the brown sugar altogether if you wish your sauce to be sugar-free. I like to add a little to cut the acid of the tomatoes but it’s optional. I like to simmer this sauce at least 15 minutes but you can simmer it longer. If you would like a thicker sauce, once it’s done simmering, uncover the sauce the let it simmer with the lid off the skillet until it reaches the desired consistency. If you are making this recipe in the summer when you have a bounty of tomatoes from the garden you can use diced fresh tomatoes in the sauce instead of canned tomatoes. I like to remove the skins as they can be a little tough, but that’s just a personal preference. 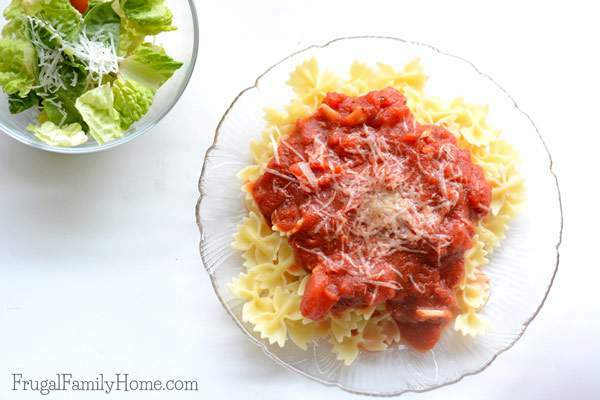 Do you make your own pasta sauce at home? What’s your favorite seasonings to add in? Looks delicious! I agree that it is so easy to make, but also so cheap to buy. I tend to always have a jar or two at home as well, but you’ve reminded me that I need to get back to making my own. Your recipe looks very similar to the one I use. I’m going to have to give it a try! 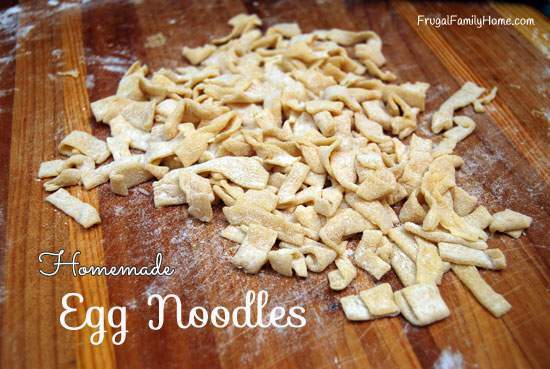 What an easy recipe! I love making my own sauce because I know there isn’t any additive or chemicals inside it like some brands that you get at the store. Thanks for showing us how to make it with a video too! We try to avoid additives and dairy too. We have a couple of jarred sauces we like but I really prefer the homemade so much more.